Tony Orrico. Photo by Bill E. Meyers. Courtesy of the artist and UB Art Gallery. 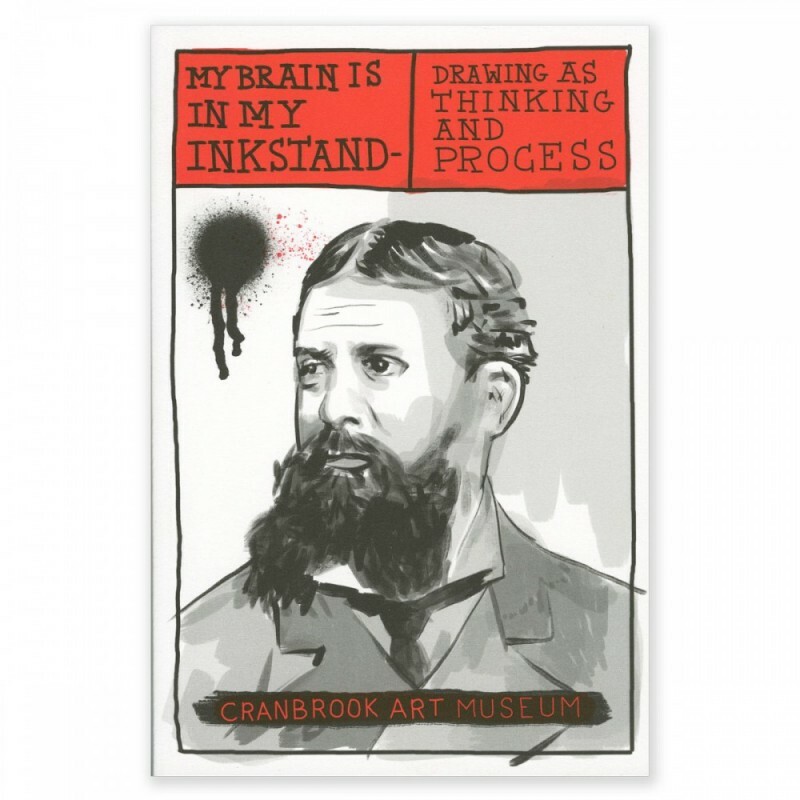 My Brain Is in My Inkstand: Drawing as Thinking and Process is an original exhibition debuting at Cranbrook Art Museum that brings together 22 artists from around the world to redefine the notion of drawing as a thinking process in the arts and sciences alike. Sketches on paper are the first materialized traces of an idea, but they are also an instrument that makes a meandering thought concrete. Inspired by the accompanying exhibition The Islands of Benoît Mandelbrot, the exhibition uses multiple sources to show how drawings reveal the interdependency of mark making and thinking. 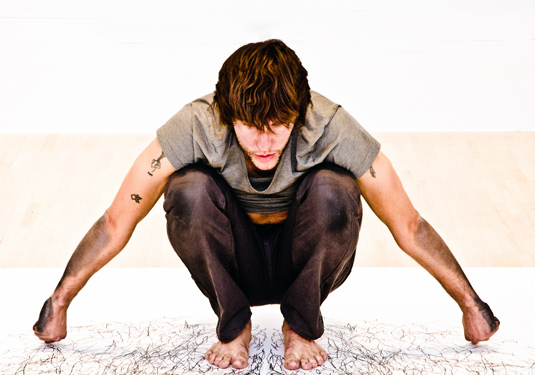 It brings together artists and scientists, basketball coaches and skateboarders, biologists and Native American Indians to show how tracing lines is a prerequisite for all mental activity. Featured artists include David Bowen, John Cage, Stanley A. Cain, Oron Catts, Benjamin Forster, Front Design, Nikolaus Gansterer, legendary basketball coach Phil Jackson, Patricia Johanson, Sol LeWitt, Mark Lombardi, Tony Orrico, Tristan Perich, Robin Rhode, Eero Saarinen, Ruth Adler Schnee, Carolee Schneemann, Chemi Rosado Seijo, Corrie Van Sice, Jorinde Voigt, Ionat Zurr, and many more. It will also integrate work from the collections of Cranbrook Institute of Science and the Cranbrook Center for Collections and Research. The title of the exhibition derives from a quotation by American philosopher, mathematician and scientist Charles Sanders Peirce, whose work involving the over- and under-laying of mathematical formulas with pictographic drawings will be presented for the first time. Organized by Cranbrook Art Museum and curated by independent curator Nina Samuel. Nina Samuel is a German art and science historian based in New York and Berlin. The exhibition will be accompanied by a full-color catalogue, published by Cranbrook Art Museum, and designed by Cranbrook Academy of Art Artist-in-Residence Elliott Earls.